We at EmuCasino see online casino games as a positive form of entertainment for adults. EmuCasino is committed to endorsing responsible game play as well as promoting the awareness, prevention and treatment of problem gambling. EmuCasino’s Responsible Gaming Policy aims to minimize the negative effects of problem gambling and to promote responsible game play. We believe it is our responsibility to you, to ensure that you enjoy your experience on our site, while remaining fully aware of the potential social and financial harms associated with problem gambling. In order to assist our customers in playing responsibly, we ensure that all our staff receives responsible gambling awareness training through utilizing the following information and features that we provide on our site. If you need help, use the deposit limits tool to help you control the amount you can spend. These can be accessed from within the ‘My Account’ section. Should you need a break from gambling, self-exclusion can be set from within your ‘EmuAccount’. If you need to talk to someone about any concerns you may have with your gambling, please contact one of the organisations, which we have listed below. The functionality is available on our site to set a Deposit, Bet and Loss Limit, which will prohibit you from depositing, betting and loosing over a certain for a defined number of days into your account. 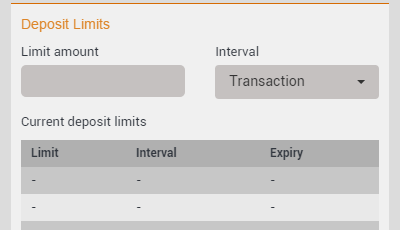 This can be set from your Emu Account under ‘Limits’ > ‘Deposit Limits’/’Bet Limits’/’Loss Limits’. A specific limit in of your chosen currency, can be set for any number of desired days. 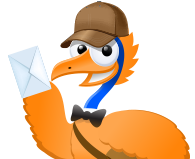 For full information and details on settings various limits on your Emu Account, click here. If you require any further information or assistance regarding any of our Financial Limit functionalities, please contact our Customer Support team for assistance. 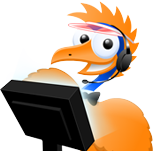 Should you need to take a break from game play, we provide a self-exclusion facility which can either be set from your Emu Account under ‘Limits’ > ‘Self-Exclusion’ under ‘Self-exclusion tool’, or set by our Emu Customer Support team upon your request for any number of days you determine. 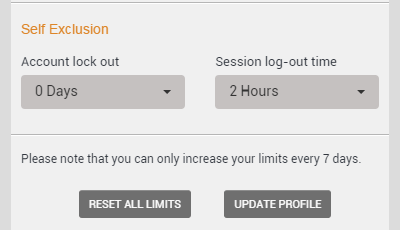 To Self-exclude yourself, just select the number of days from the drop down (30 days max, for any more, kindly contact customer support), and click on ‘Lock Out’. Self-exclusion means that your account will remain closed for the defined period, and will not be reactivated under any circumstances during the exclusion period unless deemed ethical from our Customer Support team. 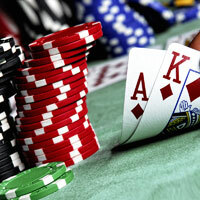 Does gambling prevent you from attending work or other engagements? Have you lied, stolen or borrowed in order to maintain gambling habits? The more questions that you answer ‘yes’ to, the more likely it is that you are having difficulties with your gambling. To speak with someone who can give you advice and support, please contact one of the organisations detailed below. Australian 1800 gambling helpline – Call 1800 858 858. This is a hotline for all problem gamblers and their families that wish to speak directly with someone locally, irrespective of where they are calling from within Australia. It is illegal for anyone under the age of 18 to open an account or to play on EmuCasino. We take the age-verification responsibilities very seriously. We carry out age-verification checks on all customers who use payment methods that are available to under 18s and additionally perform random age-verification checks on customers using other forms of funding methods. We may ask for information to verify your age and could restrict or suspend your account until your age is confirmed.